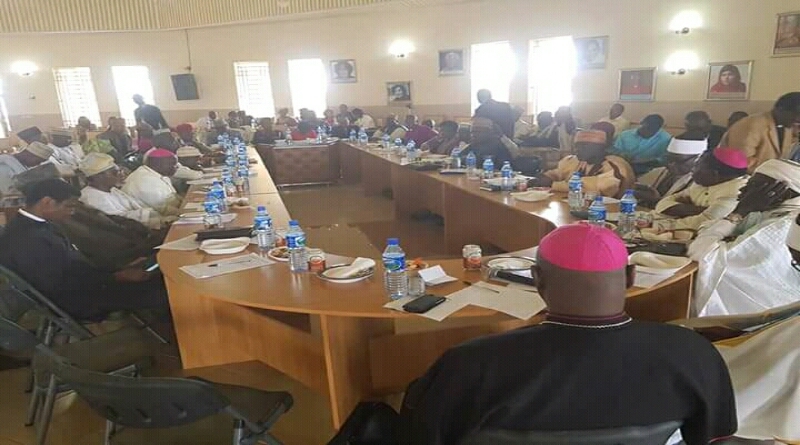 The dialogue and consultative meeting had in attendance, the Da Gwom Rwei of Barkin Ladi, representatives of the Da Gwom Rwei of Riyom, State leadership of the Miyetti Allah Cattle Breeders Association of Nigeria led by their State Chairman and Secretary as well as Chairmen of the Association from the local Government Areas affected, and representatives of the All farmers Association of Nigeria (AFAM). We thank God for the improved peaceful coexistence enjoyed in our communities so far. This is as a result of the effort of government, security, community and religious leaders. We therefore call for more effort by all and sundry to ensure permanent peace on the Plateau. However, we observe with dismay pockets of domestic violence in our communities and cases of cattle rustling in some LGAs like Riyom, Barkin Ladi and Jos East. There is a new dimension to the conflict which was originally perceived to be between the Fulani and Berom communities as the Afizere (Jarawa) in Jos East LGA have been dragged into the conflict based on the allegation that they are harboring the Fulanis in their locality. It was observed by the Ardo of Riyom LGA that there is great improvement in the security situation and relative peace amongst the different communities. This has brought great improvement in relationships between farmers and pastoralists in Riyom and Barkin Ladi. There is now free movement of persons into communities that were previously not safe. We call on government to reconstruct destroyed houses, schools and hospitals and also provide employment opportunities for the youths to further cement the peace being enjoyed. It was also observed by the Dagwom Rwie of Barkin Ladi that there is great improvement in the security situation in his domain. He commended the positive role played by the sector commander of Barkin Ladi, particularly his prompt and objective response to security concerns. He further observed that the farming season is here, hence the need for all communities to give peace a chance so as to enable farmers achieve the gains of the season. We observe that there is unlawful road blockage, rampant and brutal armed robbery attacks in Barkin Ladi LGA, hence we call on the Security to have more patrols on major roads. We decry the growing incidences of criminal activities and social vices in our communities as we call on community leaders to engage Local vigilante groups to complement the efforts of security agencies. Concerted efforts should also be made to identify routes used by cattle rustlers for prompt interventions. The newly elected Chairman of Miyetti Allah, Plateau State, Alhaji Nuru Muhammad, pledged the absolute support, cooperation and collaboration of the newly inaugurated Exco of the Miyetti Allah of Plateau State with all groups who are working for peace in Plateau State. He urged all parties not to take the laws into their hands but to always report security issues to the appropriate authorities. Alhaji Haruna Boro(former Chairman of Miyetti Allah Cattle Breeders Association of Plateau State) clarified that the conflict we are experiencing is not strictly between Berom and Fulani as is being erroneously perceived. Even if it were, we call on all other ethnic groups to pray for them. It was observed that conflict is like an epidemic which could easily spread rapidly to other places. We call on the Plateau State House of Assembly to make legislations that will address the production and consumption of illicit drug to help reduce the cases of drug abuse and associated social vices. We appeal to business men and women who adulterate food items to desist from such criminal activities as this endangers the health of our citizens. We continue to wish Plateau State and all the residents more peaceful, loving relationships and God’s guidance. This was dully signed by all present at the meeting. 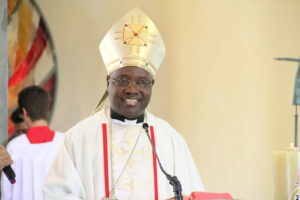 Next story Archbishop Kaigama Celebrates Christmas Party with over 700 Children in Jos.